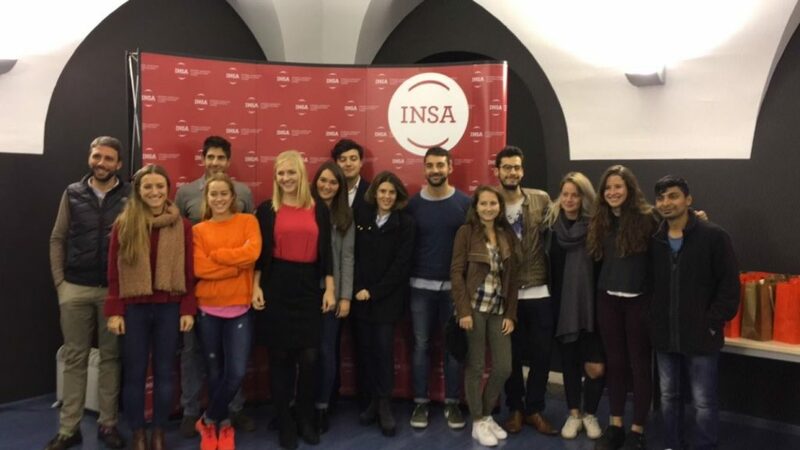 Last Wednesday, November 30, INSA INTERNATIONAL BUSSINES SCHOOL, opened its doors to “TOP” companies in pursuit of talent. In this CAREER FAIR 2017 participated companies such as Deloitte, Cooltra, SAP, Uniplaces, DME Group, Just Digital, Hema, Sellbytel, City Life, Aiesec and PTC. It was an event that gave INSA’s students the opportunity to be interviewed in person by the leading managers in charge of the selection. Statements such as “we are very satisfied with the performance of the professionals who come from INSA to our company”; or “they are ready to provide real solutions to a market in constant change”; these statements confirm the satisfaction of these companies with the human capital that study in this Business School. This way INSA demonstrates the great potential of the training model it provides, a training model that promotes the talent of our students through being active professionals. INSA counts with an experienced faculty that provides a real and updated vision of a market where obsolescence is getting faster and faster. With its message “Professionals training Professionals”, the Institution has been leading a boutique teaching concept for more than 30 years, with the aim of individualizing it to boost its students’ talent and to provide solvent solutions in the labor market.